Watch long enough and you’ll also see a parade of American Muslim activists, all lamenting their problems with government policies and decrying the plight of life here for Muslims. “We get calls all the time from individuals who are being coerced to be informants on the American Muslim community and the coercion usually takes the form of immigration issues, tax issues and other personal issues, financial issues that can be brought to bear to force people to become a spy in their own faith community,” Hooper said. MPAC’s profile in Washington has grown dramatically, especially when it comes to outreach directly from the White House. MPAC officials attended the White House Iftar Dinner, President Obama’s 9/11 Memorial at the Kennedy Center, and Secretary Hillary Clinton’s Eid ul-Fitr reception at the State Department, which was planned to commemorate the conclusion of the month of Ramadan. On July 13, President Obama even called Haris Tarin, head of MPAC’s Washington office, to commend his organization’s work with the Muslim American community and the nation as a whole. There is no denying anyone’s right to appear on any program. But invitations can be declined. It’s a mystery what officials of either of these organizations hope to accomplish by criticizing their own country on an official arm of a hostile Iranian regime. The problem, Hooper said, is a conspiracy to issue a constant barrage of bigotry from “a coordinated, well-financed group” against Muslims in America. If supposedly “mainstream” groups like MPAC and CAIR are comfortable on Press TV, it is no wonder more openly extremist groups embrace the chance to appear on camera. As-Sabiqun, a Washington, D.C.-based Islamist organization that has openly called for an Islamic state in America by 2050, has provided interview subjects for Press TV five times in 2011. 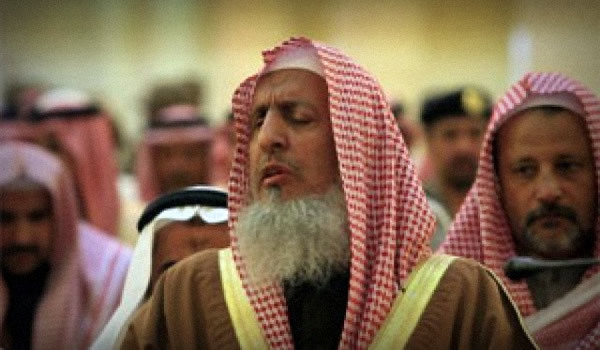 In them, the group’s leader Imam Abdul Alim Musa has accused the United States of “fighting a global war against Islam,” and entrapping innocent Muslims. Representatives from the Muslim American Society (MAS), which was founded as the U.S. chapter of the Muslim Brotherhood, appeared twice on Press TV in the past year. Like its counterparts, they said nothing of Iranian misdeeds but they did defend a convicted terrorist, Sami Al-Arian, and also accused President Obama of contributing to rising “Islamophobia” by failing to close Guantanamo Bay. Musa also appeared with Shaker Elsayed, imam of Northern Virginia’s Dar al-Hijrah mosque, in repeating the FBI entrapment allegation. 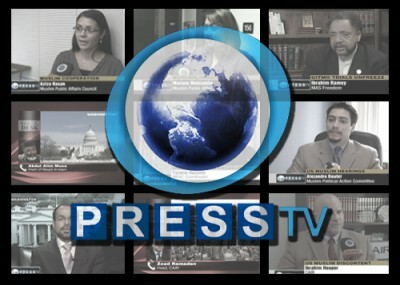 Dar al-Hijrah representatives made at least two Press TV appearances this year. FBI agents “are not investigating to see if the individual is engaged, they are engaging the person in terrorist activities, in conspiracies, in plotting,” Elsayed said. “Our experience here at al-Hijrah was very positive with the FBI leadership in Washington Field Office, until we found out that getting very close to the FBI came at a very serious price,” he added. But Press TV has come under fire before. In January, Britain’s National Westminster Bank froze its bank account, presumably as part of an effort to cut off funding for Iranian government enterprises and force the country to abandon its nuclear weapons program. Iran’s leadership again finds itself in the spotlight following the release of an International Atomic Energy Agency (IAEA) report which finds that Iran is progressing toward making nuclear weapons. Commenting on the report, Press TV echoed the recent accusation of Iranian President Mahmoud Ahmadinejad that the director general of the IAEA, Yukiya Amano, is an American “pawn” reporting what the U.S. government tells him to say. “In an atmosphere of cringing obedience to Washington, Mr. Amano cannot choose but to play into the hands of the US officials who look over his shoulders and observe with diligence what he puts to paper in the report he writes about Iran,” a Nov. 8 Press TV article noted. Press TV’s message today is that America is a terrorist state, and that its actions – from the allegations in the Saudi assassination plot to the saber-rattling over Iran’s nuclear program – are either manipulated by Israel or direct favors to the Jewish state.